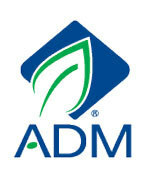 Chicago, IL - Archer Daniels Midland Company (NYSE: ADM) today reported financial results for the quarter ended September 30, 2018. “The team delivered another strong quarter, capitalizing on robust global demand with good execution and great utilization of our global footprint,” said ADM Chairman and CEO Juan Luciano. “For the last several years, through good conditions and bad, we’ve remained focused on serving our customers and delivering our strategic plan — optimizing our core, driving efficiencies, and expanding strategically. "Now, as we look forward to 2019, we are continuing to enhance our earnings power, both through our growth investments and our Readiness initiative, which is beginning to drive fundamental changes in the way we run our company. Merchandising and Handling was significantly higher versus the weak third quarter of 2017. In North America, the business managed risk well in a volatile price environment, and capitalized on its asset base to deliver higher volumes and margins, including strong export sales to customers in markets outside of China. In Global Trade, good utilization of the company’s global network of origination assets and continued expansion of destination marketing volumes and margins drove solid results. Crushing and Origination set a new record for crush volumes, leveraging its strong global asset base and the company’s growing destination marketing capabilities to capitalize on higher global crush margins. Soybean crush was the major driver of earnings growth, with North America, EMEA and South America all delivering substantially higher results year over year. Softseeds results had a significant improvement from the third quarter of 2017, with particularly good results in EMEA. Other charges for the quarter in Corporate improved due to better results from the company’s investment in Compagnie Industrielle et Financiere des Produits Amylaces SA (CIP). The effective tax rate for the quarter was approximately 15 percent, up from approximately 13 percent in the prior year. The current quarter rate includes the effects of U.S. tax reform and the 2017 biodiesel tax credit recorded in the first quarter, along with certain favorable second quarter discrete tax items which impact the Company’s overall calendar-year rate. View full financial results here.